Here are the Part 2 photos Izzy sent. The cupcake shop is the Little Cupcake Bakeshop located on Prince Street and well known as one of New York City’s premier bakeries. Their goodies are even sold at the Bergdorf Goodman Café. But I digress – you didn’t come here to read about yummy cupcakes. Unfortunately, just looking at the photos, I cannot determine whether the ceilings are the classic Queen Victoria – 1204 Tin Ceiling Tile or the less expensive look-alike 148 Faux Tin Ceiling Tile. Truthfully, however, in a commercial restaurant setting, it is very difficult to tell the difference between tin and faux tin tiles unless you are just inches away. I love real metal but from a practical perspective, faux tin tiles have a no echo advantage. The softer surface acts to absorb the sound whereas sound bounces off metal tiles. Both tin and faux tin are Class”A” Fire Rated and approved for commercial installation in restaurants, hotels and stores. 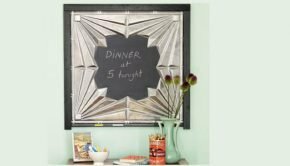 They are easy to install and definitely will transform your space from drab to fab in just a few hours. Check out how easy tin or faux tin ceilings are to install! Be sure to read Jessica’s comment below – she tells the history of the the tiles and how the artisans crafted the look. Fascinating! 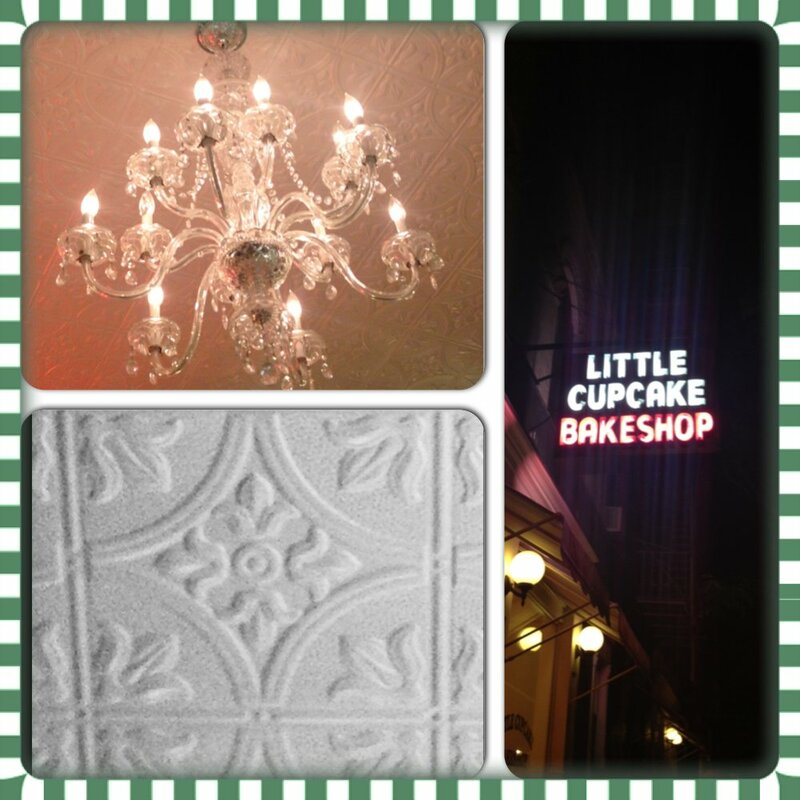 -the tile design was taken from an early photo of the shop from 1943. This was the actual tile design used back then (so was the bathroom floor tiles). -the paint applied and then the tiles were baked in an oven. -they were nailed into the plywood with cone head screws (like the old days). -after they were all “nailed in”, they were painted 4 times to give them that old feel. Thank you Jessica!!! Love the history! Love the tiles. I am always fascinated by the background story and the actual how to’s of the job. 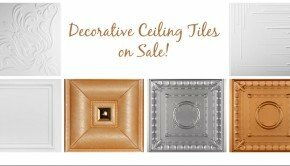 Just an FYI – Milan over at Decorative Ceiling Tiles actually has the capability of creating replica tin tiles for both new installations and for repair work. It’s always nice to have a reliable source. This design is very popular now, we have it numerous finishes and materials. How did you have these ceiling tiles replicated? You would not happen to have the image of the 1943 shop?